I think these pretty much speak for themselves. 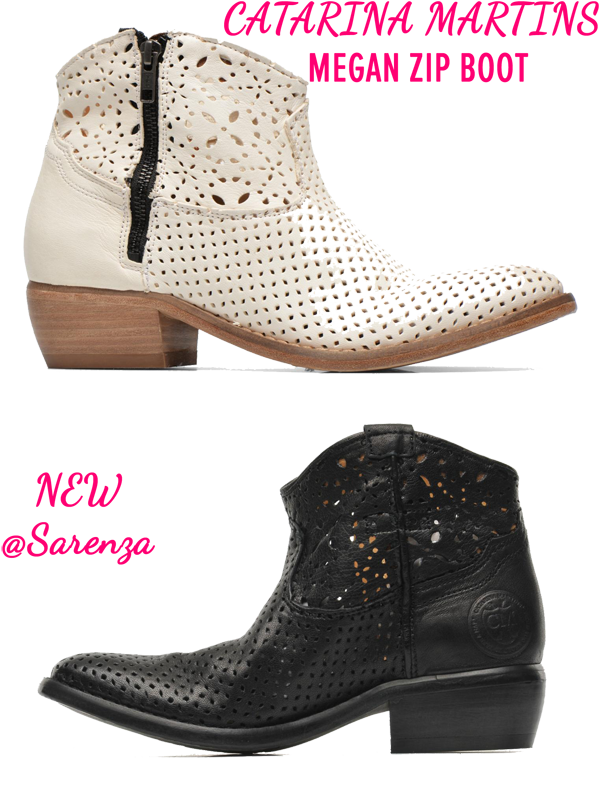 These gorgeous little western-inspired perforated leather ankle boots are perfect from dusk til dawn. In a choice of off white or classic black, they are new in at Sarenza this week and are by far my favourite new boots of the season so far. As with all Catarina Martins boots they are created by hand and are an easy to wear luxury for every day. They can be added to your shoe closet for £163.00. Catarina Martins’ authentic rock-chic boots combine quality and know-how for an irresistible nonchalance with trendy, rebellious accents. Biker boots with buckles and cowboy boots are the main inspiration for Catarina Martins. Founded in 1993 by Paulo Martins, Catarina Martins shoes are made for dynamic, fun women who appreciate fashion combined with comfort and quality. Made with high quality materials and made entirely by hand, Catarina Martins creations are unique.